Sterling Silver Purple Amethyst Zircon Earrings Only $2.93 + FREE Shipping! You are here: Home / Great Deals / Amazon Deals / Sterling Silver Purple Amethyst Zircon Earrings Only $2.93 + FREE Shipping! These earrings are SO classy and pretty! 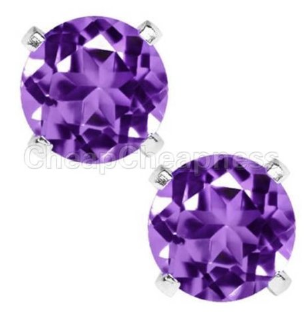 Right now, you can get these fabulous Sterling Silver Purple Zircon Earrings for only $2.93 + FREE shipping!